What an engineering wonder and emotional rollercoaster! I prefer overland travel far and above other forms of travel. Cars, buses, motorcycle with a side car, walking, bicycling…the list goes on…skateboard, roller skates, toboggan (when snow is present). I don’t care for riding horses, because I wouldn’t feel comfortable with subjecting a horse to my weight and whim. Horses don’t deserve that. So, this bridge…WOW! Traffic went along pretty smooth considering this is the one way to get across this stretch of Chesapeake Bay. As a passenger of a vehicle, the view from this bridge is remarkable. I’m sure it’s similar to the driver of a vehicle as well, but I wasn’t driving, so I can’t say for sure. The beautiful Chesapeake Bay, or as the early Spanish called it, “Bahia de Santa Maria”, is the World’s largest estuary and it really shows. And talk about wind. This bridge has it! That’s when I saw them. One after another. Every 10 meters or so. Seabirds who, by the look of their contorted remains, were the tragic victims of this confluence of wind and bridge. A terrible sight. Now, I have no inherent love of seabirds, but they have just as much right to fly or glide or whatever they do around here. I should write to the Mayor of the Bridge and suggest installing a scarecrow to keep the seabirds away. 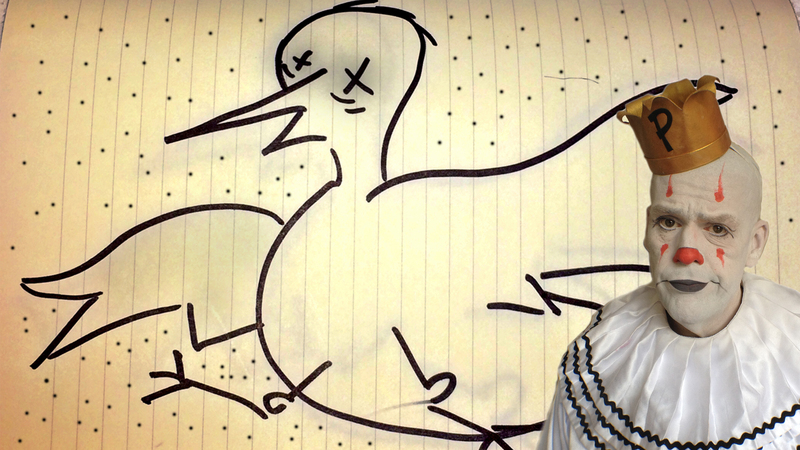 What are seabirds scared of? Obviously not this bridge. Or cars. Maybe the Mayor could disguise the bridge as Great White Shark or a Sabertooth Tiger. Or they could divert the seabirds from their apparently doomed flight path with a fish & chips platform out in the bay. Make it a tourist destination. Come feed the elegant seabirds of Bahia de Santa Maria! ¡Elegantes Aves Marinas de la Bahía de Santa María! I’d make a side trip for that! Yelp!! So sorry you had to see that….ouch…. you reflect a kind and gentle human…I am so glad you share your beautiful gift with us..thank you…..
Actually the birds were frightened to death by a large clown. I give this review 5 stars. Count me first in line to buy your future first novel. Better yet, your biography. Do it! Hi Puddles , Glad you were able to check out part of “God’s Country”, the Chesapeake Bay and the EasternShore of Md. Certainly had an outrageous time @ The Avalon show in Easton with you in September,can’t wait for you to come for a longer, return visit!!! We really appreciate your concern for the bridge seagulls; hopefully they will become more skilled at wind surfing! 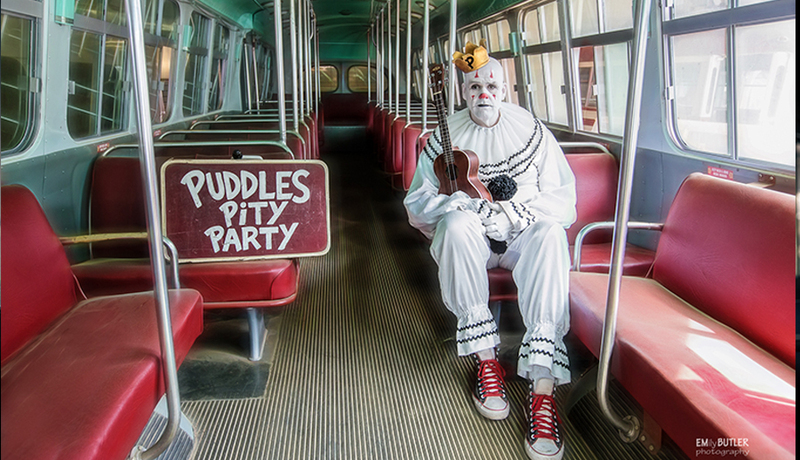 Anywho…..Love Ya Puddles,keep on crooning , you’re THE BEST! Please come back to Virginia Beach area for a show. Thankyaveramuch!